When I was about 8 months pregnant, I took a lactation class at a boutique baby store. This time in my life had been so joyful. Being pregnant had given me so much more excitement, joy and happiness than I had ever expected. I mean, I knew having a son would be like that, but I didn’t know I’d be one of those crazy happy pregnant ladies… yeah, I really was crazy happy. I did have little pangs of am I missing something by doing this alone moments. Not often. But sometimes when I saw other pregnant women with their loving partners, I’d have a moment. But mostly, I was just happy. When I arrived to lactation class, the woman at the counter asked for my name. “Cookies and bathroom that way,” she said. Everywhere I went; the OB, the fertility clinics etc, people were telling me that there were so many single moms by choice. I wanted to see them and meet them…. but it didn’t look like I was going to meet any here. I went down the hall and helped myself to a cookie. 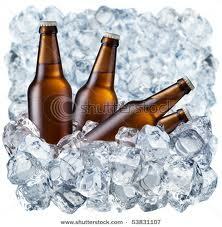 There was also a big bucket of beer on ice. She said husbands with a lot of force and frequency. The whole husbands thing caught me off guard. I wasn’t expecting there to be partners in a breastfeeding class. I had a little bit of that I’m missing something feeling. I had to give myself a quick, internal pep talk: It’s OK. Remember how good things are and how excited you are. Remember how you can do this and you don’t need to compare yourself to anyone. Remember, you are doing this your own way. Was Pam so sure there were no wives here? When it was my turn to get asked “where’s your husband,” I wanted to give a cute answer like, “I don’t know, you tell me.” Or “I haven’t met him yet.” But I didn’t want to sound bitter, so I just gave a little smile. It was like she had this weird fantasy of who took her class. Like anyone but a heterosexual couple, living in the hills, working at Warner Bros, should take their newborn needs somewhere else. I looked around the room to see if anyone else thought this beer obsession was crazy. If they did, they weren’t showing it. It was a room of tepid stares. Pam repeated “Go get a beer,” to each man who walked it. Within 30 minutes, most of the women were paired up with husbands, swilling their brews like we were at a sports bar. Crap. I wanted a beer too. Pam finally began to talk about breast feeding and why she loved it so much and how great it is for you and the baby and how everyone can do it if you know what you are doing. Then she asked everyone to go around the room and introduce themselves and our babies-to-be. I got excited. I was excited to tell people I’m a single mom – so they have awareness and because somehow, it gives me more strength. After all the husband talk, I was going to shake things up a bit for Pam. There was silence. I silently pep-talked myself again. I felt like a freak. I was trying too hard. I wasn’t fooling anyone. I couldn’t look but I tried not to imagine horrified looks and armpit snuggles. Pam launched into lessons: “Husbands, your job is to…” “Husbands, make sure the doctor does …” “Husbands make sure mom eats…” stuff like that. I wondered if the word husbands bothered anyone else. Was everyone here actually married? Didn’t lesbian couples ever take this class? Was dads better? Moms? How about Partners? Whichever it is, I don’t have one with me. I did wonder what she would do if there was a lesbian couple staring her in the face. I was horrified and yet… now I had a husband! Trader Joe! Well, maybe I had husbands – I have all the Trader Joeses. I’m a polyamorist. This entry was posted in FOOD, PREGNANCY, THINGS PEOPLE SAY, TRADER JOE'S and tagged choice mom, mom solo, motherhood, single mom, single mom at lactation class, single mom by choice, tired mom, trader joe's. Bookmark the permalink. Thank you for reading, Regan! When crazy things happen, humor is all we have, right? Too funny, nothing wrong with being single & proud. If I were in that class I probably would have had a few beers myself to endure the class. And most of all I’m realizing how thankful I need to be that a Trader Joe’s is coming to my neighborhood in the next six months. Perfect timing! it is hard for me to believe this was so isolating. There must be classes where there are single moms by choice in this day and age. I was a single pregnant lady. I didn’t meet my now husband, until my son was 8 months old. I remember these kinds of painfully awkward moments. I wasn’t a single by choice mom, tho. I got accidentally knocked up. and even when I was sure I’d made the right choice and was excited and happy, explaining myself to people who wanted to know where my husband, partner, boyfriend, baby daddy was, was often excruciating and uncomfortable. I wished I’d been able to see the humor. I was and I still am surprised how conservative people are about family stuff like this. Anyway, your blog is awesome and hilarious and I can’t wait to read more. Thank you! I’m lucky to have readers to share my stories with! And yes… lucky to be able to look at the awkward situations with humor! Thank you for reading! I think it’s a pretty bold ask that question to assume there’s a husband in the picture… something like 50% of all moms these days are single, for whatever reason. In the next class I took (story to come) there was a 2 women couple (and me) and the teacher was really struggling not to say husband. Even today, people are always asking questions about my “husband” and I’ve really just found a simple “I’m a single mom,” with a big, happy smile, stops all questions. I’ve decided it’s important to say I’m a single mom to keep the awareness going. Also, sometimes, I just say “no husband.” If you don’t want to talk about it, you don’t owe it to anyone to explain.